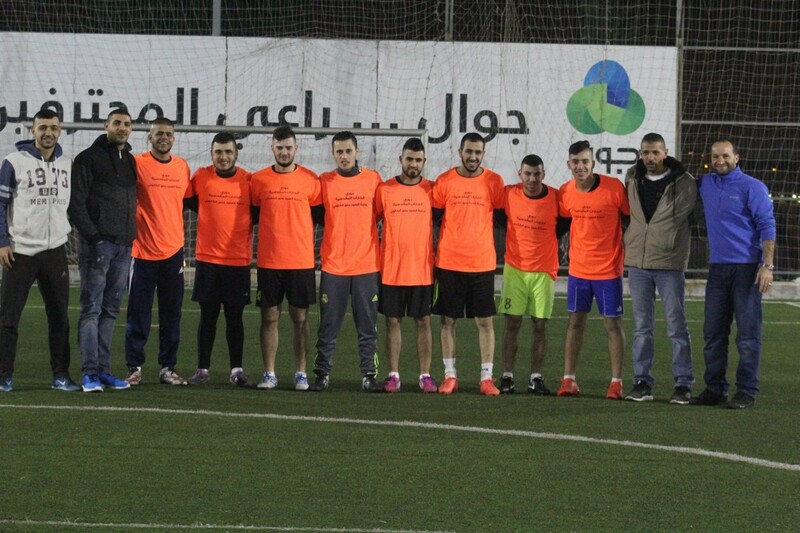 Burj Al-Luqluq Social Center Society Organized the second edition of the Jerusalemite Neighborhoods Football Tournament 2016-2017 within Shababek Ya Quds project executed by the center under the supervision of the Welfare Association and funded by the Jerusalemite businessman Munir Al-Kalouti who has been supporting this tournament for the last 4 years. The tournament took place on Burj Al-Luqluq Football playground with the participation of 150 Jerusalemite youth and trainers from 6 Jerusalemite neighborhoods from inside and outside the Old City. At the end of the matches, Al-Sa’diyeh neighborhood won the championship while Al-Wad-Neighborhood came second. Then, Burj Al-Luqluq Executive Manager, Muntaser Edkaidek, thanked the Jerusalemite businessman Munir Al-Kalouti and the Welfare Association for their continuous support for Jerusalem in general and Burj Al-Luqluq programs in specific. In the end, the participant teams received medals for their participation while the winning teams received cups.